How wonderful is to live on an Island and having the opportunity to watch the ocean every day, taking a walk on the seaside and listening to the rhythmic sound of the waves! 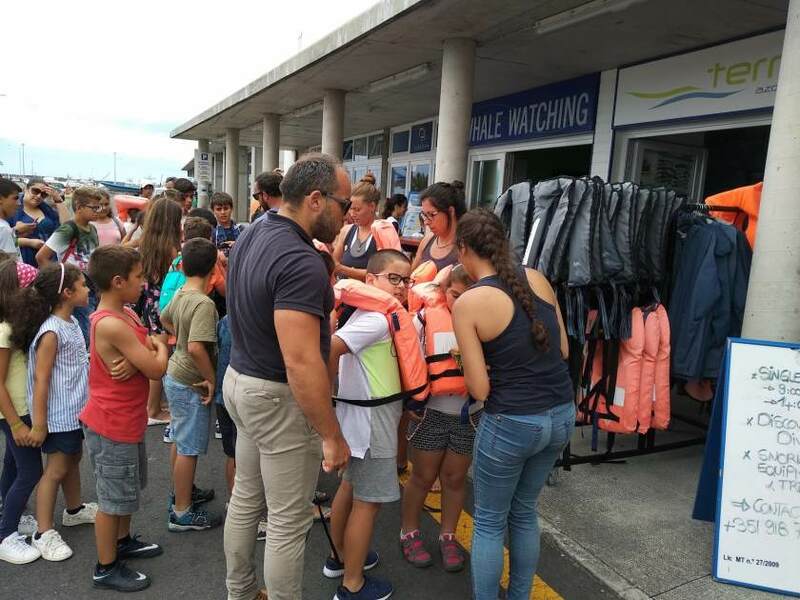 You would think that for locals this nice scenery includes regular boat trips and maybe even the sight of whales and dolphins, but this is not always the case… especially for the children. Appreciating and respecting nature comes from knowing it first. 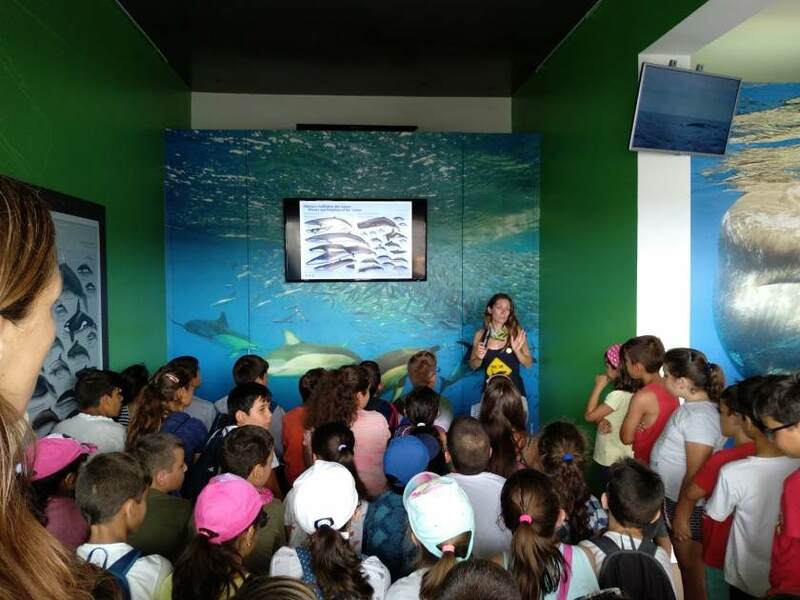 It is for this reason that Terra Azul feels responsible in providing the opportunity to local children to experience the ocean and its inhabitants in an effort to educate and sensitize future generations. Students from various schools have been joined tours in the past years and this year has not been different. 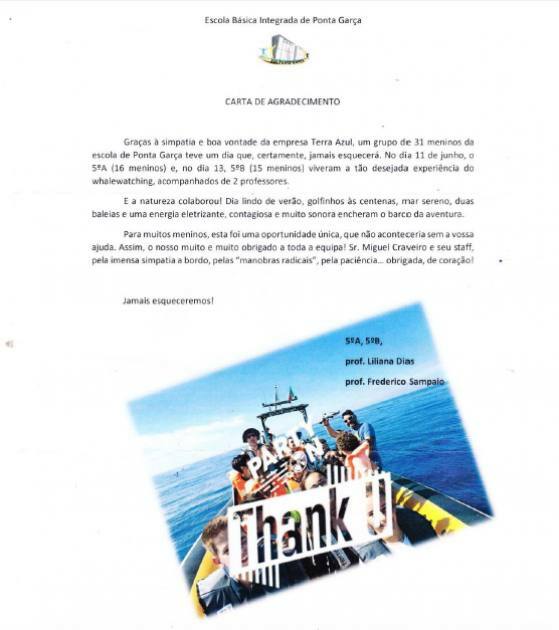 A thank-you letter sent by a school in Ponta Garça after joining Terra Azul on an educational tour. We are ready for more adventures with these young and hopefully future guardians of the ocean!